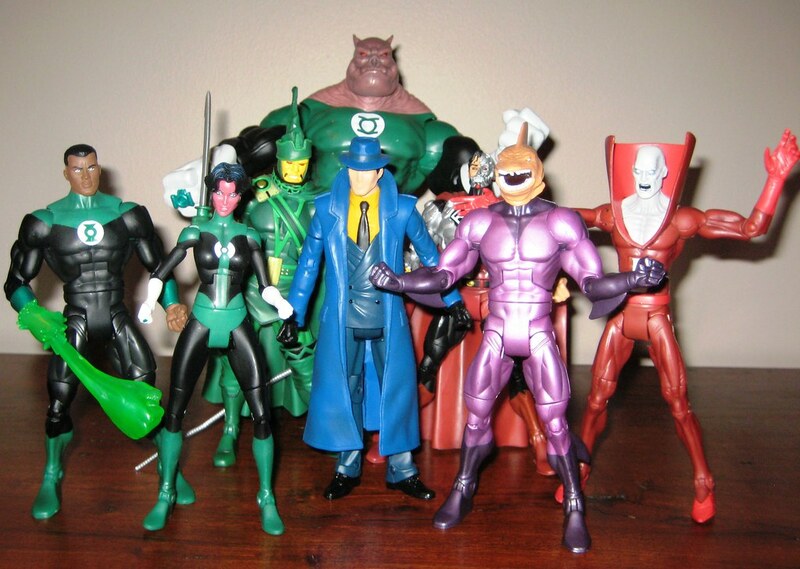 Mattel has been churning out wave for DC Universe Classics faster than Tiger goes through his ladies at the moment! I’ve only very recently managed to get all of Wave 10 together and reviewed, and The first part of Wave 12 is shipping to me tomorrow, so I realised I’d better get my Wave 11 review together before they arrive. Of all of the recent and upcoming waves, this one probably excited me the least in terms of the line-up, and I wasn’t very excited about the Kilowog Collect & Connect, as I was happy with my DC Direct Kilowog and thought he was sufficient. I don’t usually start with the C&C in reviewing these waves, but Kilowog has to be the starting point here – he’s not just huge, he’s excellent in every way. Scale-wise, he’s probably a bit big compared to his Green Lantern compatriots, but who cares? He’s freaking amazing! 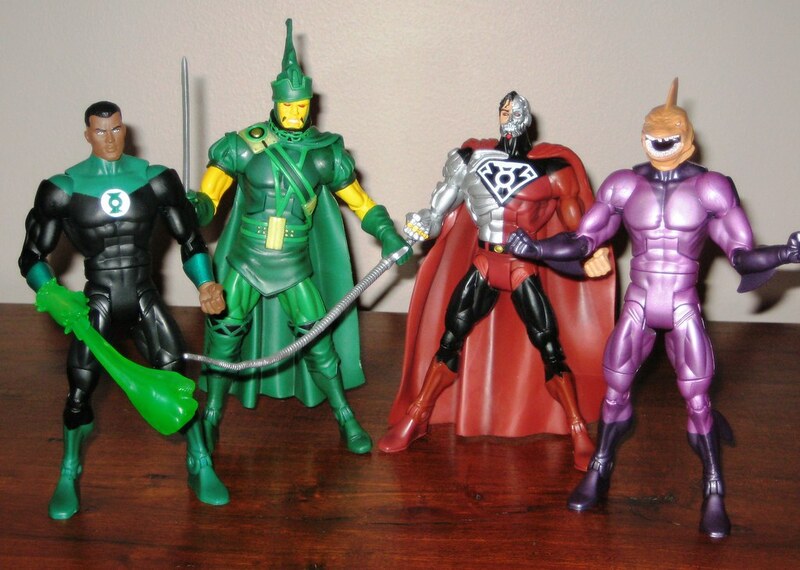 As for the regular figures, John Stewart is the surprise standout for me. I’ve been waiting for a decent Modern Age version of John, and have been disappointed with DCD’s efforts. This blows them all out of the water with a perfect headsculpt that captures the character in every way. The fantastic ring construct, which fits snugly on his fist, seals the deal. Excellent. The comic accurate Steppenwolf is a shining light for the line. Great detail in the sculpt and fun, different accessories make him a real winner. The Super Powers version is a pass for me. The Bronze Age version of Shark is my other favourite in this wave. Great headsculpt – the only niggle here is that – due to the use of the standard buck, he looks a bit like he’s wearing a mask. A thicker neck would have worked better here. Still this is an exciting character addition to the line and perfect in a GL-themed wave. Cyborg Superman is a yawn for me personally as a character, but again is a nice inclusion thematically here. Not a big fan of the headsculpt on this one – a bit too much Cyborg and not enough Man, and it makes the head look too small on the body. Fan Poll Winner Question is another good inclusion in the line, and the figure is very well done, although a DCD-style removable mask would have been fun. Hopefully this sculpt will lead to some other trenchcoat-ed characters in the waves to come. 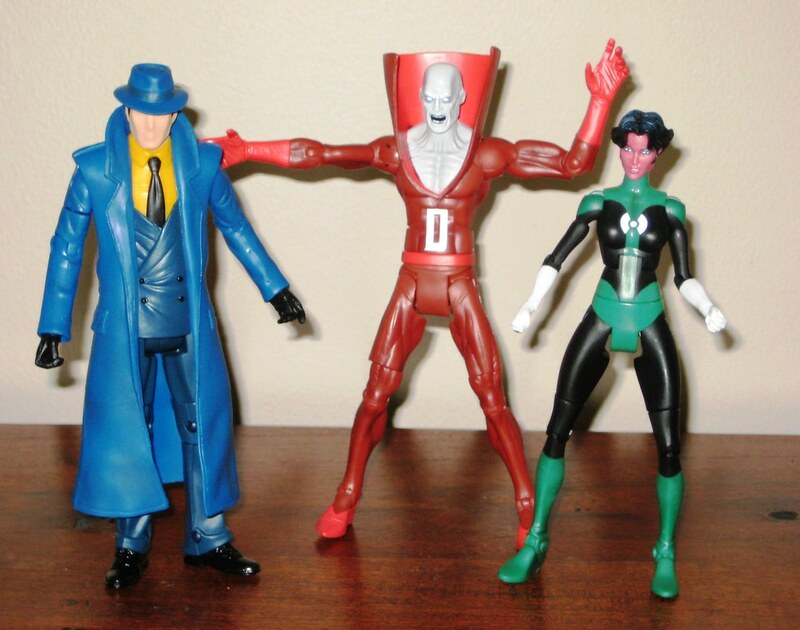 Rounding out the wave, is Deadman, The thinner, scrawny buck used here opens up possibilities for some other characters as well – thing is, it really isn’t a great match for Mr Brand himself – he’s generally been presented with a normal build. The screaming face has attracted criticism elsewhere, but I don’t mind that touch – it’s something different at least! Overall, this wave has been a very pleasant surprise. Kilowog, John Stewart and Steppenwolf are standouts in the line overall. This line truly keeps getting better and better! You can see more pics at Facebook, discuss this at the AFB Forum, and comment on this post to enter the January AFB Comment of the Month Contest. Nice going on the waves. I don't like the cyborg superman either, the pose is alright but the head is like you said a little too small. Cyborg Superman is the best figure in this wave. Followed very closely by the Steppenwolfs and Kilowog. I've gone back and forth about how much I was looking forward to this wave, but once it arrived (nearly a month ago already, sheesh) I really enjoyed it. Just another solid wave of great figures, whether or not I was originally anticipating them. 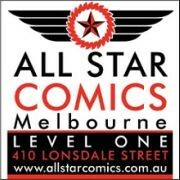 Nice write-up Andy! Can't wait for mine. C'mon Digital River you bunch of slack jawed monkey boys! Easily my favorite wave. Awesome BaF, characters I like, and decent looking characters I don't. I think it's good that Cyborg Supes has a smaller head, seeing as it's supposed to be a metal skull it makes sense that it's a touch smaller. This was such a great wave. Kilowog dominates my Green Lantern Shelf. The only figure I didn't keep out of my set was Shark. That is quite the haul there Andy. No just imagine how many more flight stands you could do with. Mr Stewart's ring construct is a very good touch! The second I spotted Question on my routine sweep of the local Walmart's DC figures section, I let out a shriek like (and I'm quoting my husband here) "A cat being thrown in a wood chipper"
Needless to say, Vic came home with me that day. My husband picked up the Katma Tui figure, foregoing the John Stewart figure in favor of the Blackest Night John we ordered from our comic shop. While the constructs she has are AWESOME, my complaint is that it takes way too much time and effort to keep them on her hands, and the figure itself falls over every time someone sneezes. AFB Comment of the Month Contest – January 2010!